Citizenship, age, educational level, hiring cycle, interviewing procedure (in-person or phone interviews), and more. 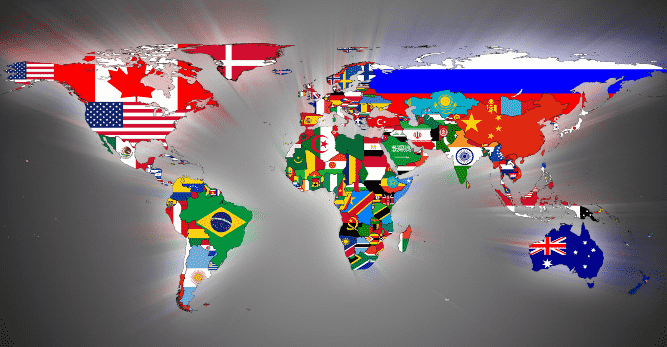 Review the list of the most popular countries for teaching English in our country comparison chart and individual country profiles. It is extremely important that all of our students understand the hiring procedures and eligibility requirements for English teaching positions prior to enrolling in a TEFL class. Also, while we provide lifetime job search guidance to our graduates, you must have a clear understanding of your responsibilities for interviewing and obtaining a teaching position. Fluent and proficient English Skills. Non-native speakers will be required to write a brief essay and interview over the phone to verify their English skills prior to enrollment. Ability to complete a university level course that incorporates extensive reading, homework, papers, quizzes, tests, lessons plans, and student teaching/observation (practicum). All work is graded and each student must pass the class and fulfill the practicum requirement to earn their certification. Those without a four-year degree are able to enroll in our Online TEFL class. Requirements and admissions policies for the Four-week Onsite Courses vary from course-to-course and non-native English speakers or native speakers without a four-year degree will be considered on a case-by-case basis and may be required to write an essay and/or interview. Please speak with your TEFL Admissions Advisor to determine whether you are eligible to enroll in the course of your choice. Online TEFL courses are limited to 20 students and typically fill two weeks in advance. Four-week Onsite TEFL courses are limited to 12 students and often fill 2-3 months in advance (Fall courses in Europe fill 4-6 months in advance). We strongly recommend that students enroll at least 90 days prior to their desired course start date to secure their spot and have ample time to make travel arrangements. Online class tuition is paid in full. Onsite courses require a deposit to enroll; the remaining balance will be due to the onsite course director 30 days prior to the class start date. Class tuition and dates are listed here. Payment is accepted by credit card, debit Visa/Mastercard, Paypal, bank wire transfer or money order. You may pay using our online shopping cart or by speaking with your advisor and providing credit card information over the phone. Instructions for paying by Paypal, money order, electronic transfer and bank wire will be provided upon request. Payment is the only way to hold your spot in a TEFL course. Receipt: Upon enrollment, you will receive a confirmation email with your receipt and instructions regarding the next phase of your registration and beginning your class. To complete your registration you must complete the Registration Document and Terms and Conditions Document. Please sign, date, and return to our Chicago office via fax or email with two days. Online TEFL Class Students who do not turn these in will not be allowed access to the online course. Onsite TEFL Class Students will not work with the onsite course director until these documents are received. Students will receive their class login and password information via email on the first day of class which is a Monday at 12 noon Central time. You will also be emailed a pre-course grammar module to help brush up before the course. Students will work with our Student Affairs office in Chicago and be placed directly in touch with the Onsite Course Director. Housing options, arrival and transportation options. It is HIGHLY advised NOT to book your airline ticket or accommodations until you speak with the director as he/she is an expert of that city. You will pay your housing fees to the hostel/hotel/hotel/homestay directly. You are responsible for the cost of these expenses, they are NOT included in the price of tuition. Your advisor will provide you with typical costs for accommodations for each location. You will receive via mail your TEFL Certificate after finishing your course and have submitted the practicum documents. Certificates are mailed each week from England where INTESOL Worldwide is located.